The ‘Ollin’ monitor arm range by Colebrook Bosson Saunders is the latest product to receive the FIRA Ergonomics Excellence Award. The Award recognises companies who design and manufacture ergonomically outstanding products, especially those that meet and generally exceed the requirements of British and European standards. FIRA International recognised the monitor arm for a number of its features. One of those was the ‘Arm Setting Indicator’. This allows the install team when installing multiple screens to simply set the perfect tension on one screen and record the setting. This can then be replicated on all further screens saving time. The vertical height of Ollin can be adjusted to suit the statures of 5th to 95th percentile people. There is also the option to attach a ‘Dual Bar’. This feature allows two monitors to be placed on the arm – the angle of tilt can be adjusted for the screens to fit the users’ unique requirements, and the screens can be placed in either a straight line or ‘cockpit’ configuration. 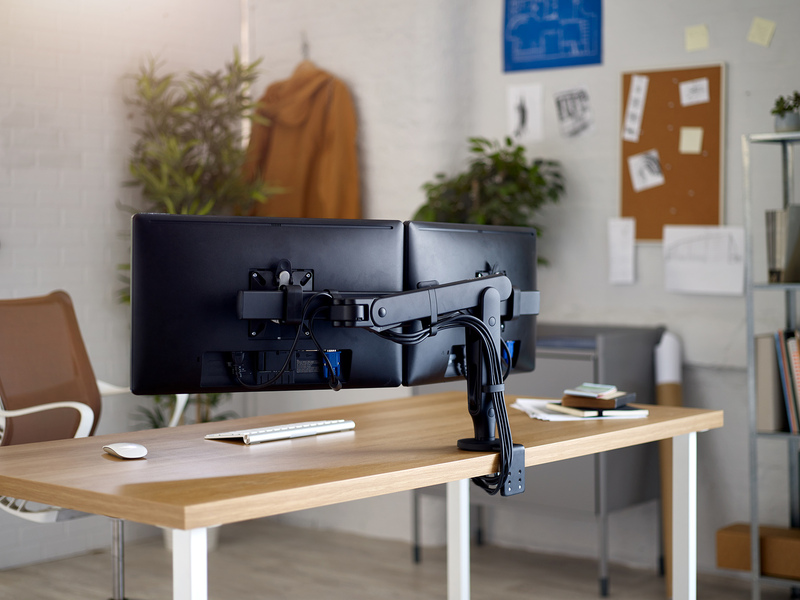 FIRA International also confirmed that the Ollin monitor arm met BS EN ISO 9241-5:1999 Ergonomic requirements for office work with visual display terminals (VDTs). Workstation layout and postural requirements. Further information on the FIRA Ergonomics Award is available from www.fira.co.uk/ergonomics, which includes a list of all ergonomic award holders.